Whether it’s New York with the Statue of Liberty, the Eiffel Tower in Paris, or the Opera House in Sydney – there are an array of landmarks around the world that have long drawn visitors. People flock to these locations in excitement, with anticipation, and always prepared with cameras ready for the perfect snapshot. But many of the most famous landmarks around the world are best viewed from a different angle – perhaps from further away, rather than at close quarters. or from a specific street, or even a shop or café. Alternatively, you may find a room with a stellar view or discover that a landmark is best viewed from a specific street, or even a shop or café. This insider’s guide will have you soaking up the scenery and atmosphere of some of the most Instagrammable locations on Earth. We will reveal where you should base yourself for the better panoramas and hopefully without having to muscle your way through dense, heaving crowds. 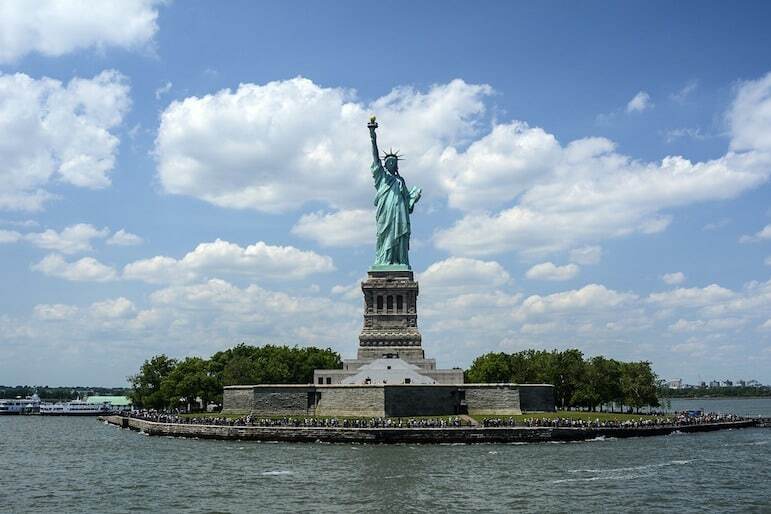 If it’s your first visit to the Big Apple, invariably the Statue of Liberty will be somewhere at the top of your list of things to see and do in New York. Like most visitors, you can take the free ferry across the New York Harbour to Staten Island to view it out on the water. However Liberty State Park offers the closest, uninterrupted scene of the Roman Goddess. Battery Park in Lower Manhattan provides an equally magical view. Or, better still, check into the Ritz-Carlton New York, in Battery Park, where most rooms offer the chance to come face to face with Lady Liberty, they also have a telescope for a more detailed look at the robed icon, which was a gift from France to the United States. Other good places with a view include the Brooklyn Bridge and Red Hook waterfront in Brooklyn, and Governer’s Island, a former coastguard facility now open to the public with sprawling lawns, and a host of outdoor concerts so you can make a day of it. The Empire State building is another major icon in the city. Historic it may be, but all too often visitors dash up it for views of the city around them. However the best views of New York include the Empire State Building. So be sure to head to the Top of the Rock at the Rockefeller Center for shorter queues, cheaper tickets and great selfies. Here are nine luxury travel tips to New York to help you make even more out of your time in the city. 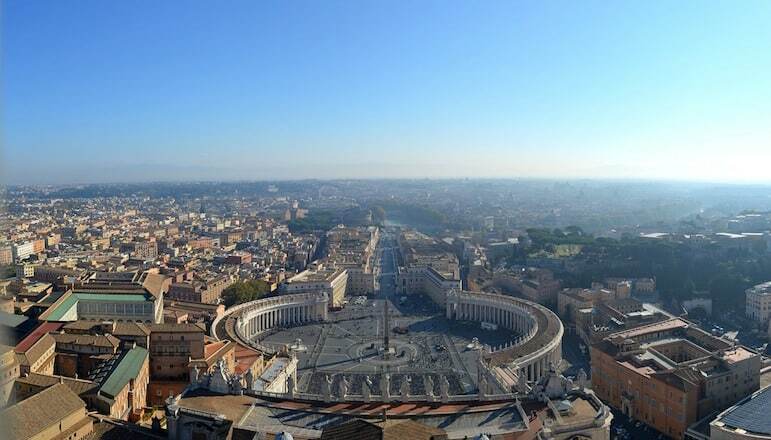 If you’re visiting Rome, want an elevated view of the Vatican City and the urban centre beyond, and don’t mind a bit of a trek to do so, head for St Peter’s Basilica. You can take a lift up it for €7, but if you go the extra mile – not, quite literally – and climb the 551 steps to the top of the cupola, you are rewarded with views breathtaking views for €5. And it does take your breath away, especially if you visit at the height of a steamy Roman summer. In fact, the one-way up, one-way down walk is so tough we wouldn’t recommend hitting the heights at that time of year. 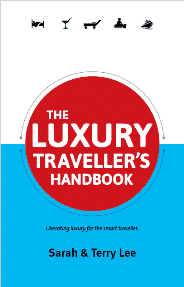 It’s best to visit on a Sunday or first thing in the morning to avoid the queues. 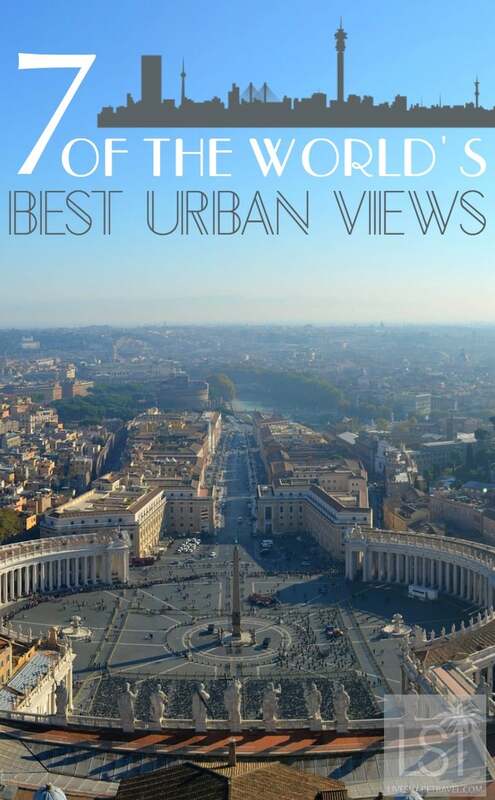 You can also pre-book a tour guide for the Sistine Chapel, Vatican Museum and St Peter’s. They know the short cut from the chapel straight through to St Peter’s – skipping the queues. Take a ferry across Lake Ontario to visit the Toronto Islands for incredible views of the city’s skyscrapers and the CN Tower, from a different perspective. Alternatively, grab a coffee to go, and head north up Broadview in Riverdale Park for a nicely framed shot of the park’s foliage in the foreground with the urban jungle looming beyond. 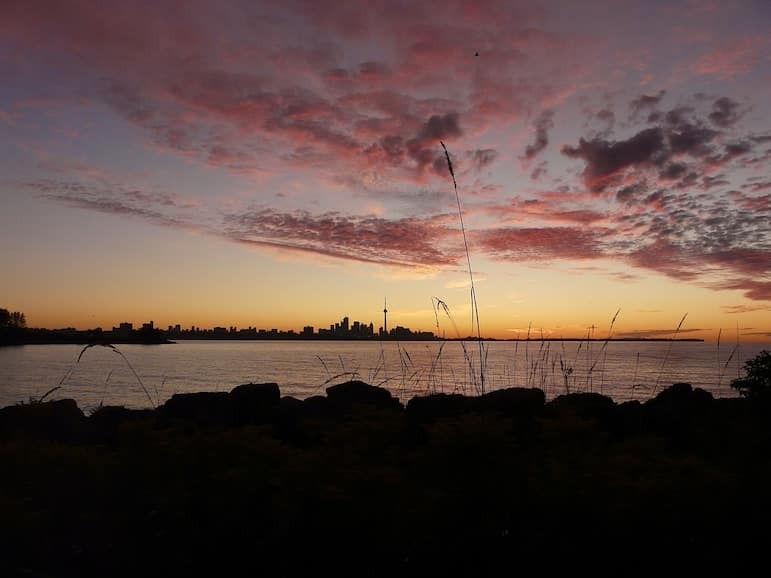 Early birds should head for Humber Bay Park, a favourite with joggers, cyclists and photographers to observe daybreak over the city. Polson Pier too is another good option. Combine vistas with relaxation at the Cabana Pool Bar, bar decked out with white accents from chaise lounges and cabanas where you can chill out and enjoy a cocktail. The Eiffel Tower is one of the world’s most iconic landmarks. And though the views of Paris from the top are worth the journey, once again, it’s all about gaining views of the tower, not from it. Tour Montparnasse admittedly isn’t the prettiest of buildings in the City of Light, but it has another great attraction. 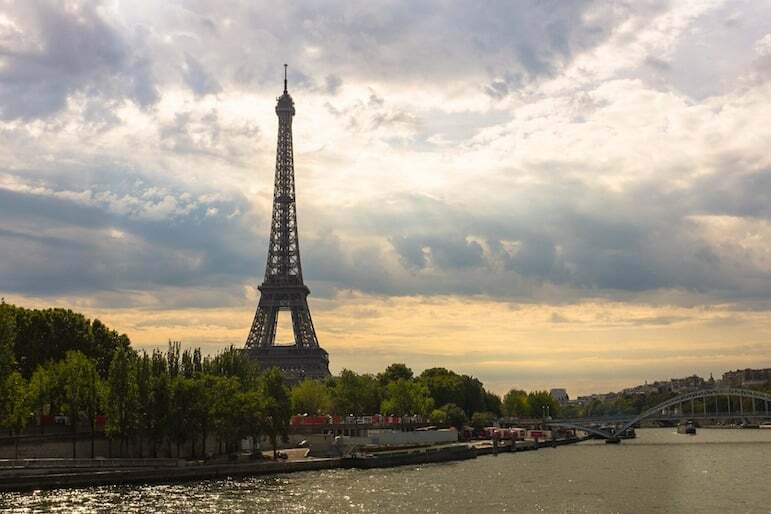 At 689-feet tall, it’s the highest viewing platform in Paris, so the 360 degree view – including an aspect onto the Eiffel Tower – as you can imagine, does not disappoint. Visiting for a romantic weekend break? Check in at Hôtel Raphael and start your mornings with a continental breakfast out on the rooftop terrace. Make a reservation, pull up a seat under one of the glorious rose-adorned trellises and admire the Eiffel Tower as it dominates the horizon. If you’re only in Paris for a short time, you’ll be glad to know you can cram shopping and sightseeing into one. Department store Printemps has a rooftop café where you view well-known sites, such as the Sacré-Cœur from above. Discover many other things to do in Paris and more luxury travel tips to make the most of your time there. Food with a view is an idyllic combination. For views of Sydney’s Opera House and the Harbour Bridge while you have a smattering of dining options, but one of our favourites is Quay. Opt for the seven-course tasting menu, which has received rave reviews, and in between each course, sit back, relax and revel in those urban coastal views and some of the most famous landmarks in the world. But if you’re just in the harbour area for the afternoon or looking for a more relaxed option, grab a coffee and cake at the rooftop cafe of the Museum of Contemporary Art. Finally, arrive at Blues Point Reserve before dusk for two views in one. 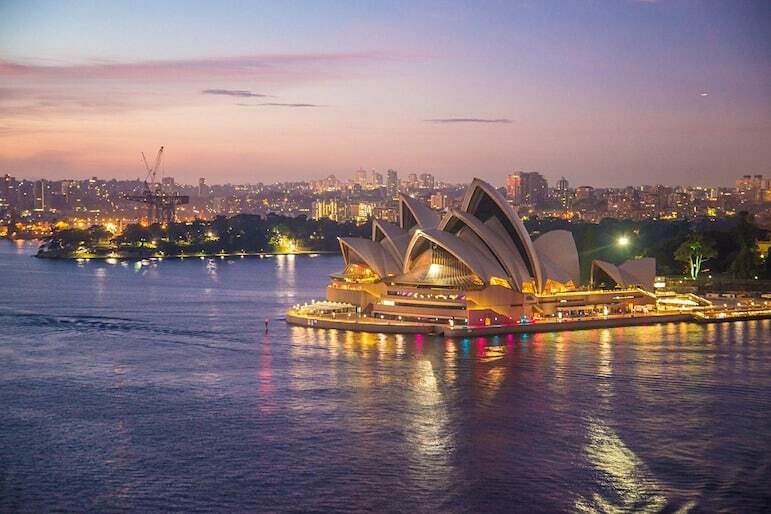 As the lights of the city begin to twinkle, with the backdrop of the unusual Opera House sails, prepare to be mesmerised by the sunset colours transforming to inky midnight blues. It’s also the place to watch the midnight fireworks display on New Year’s Eve in Sydney. 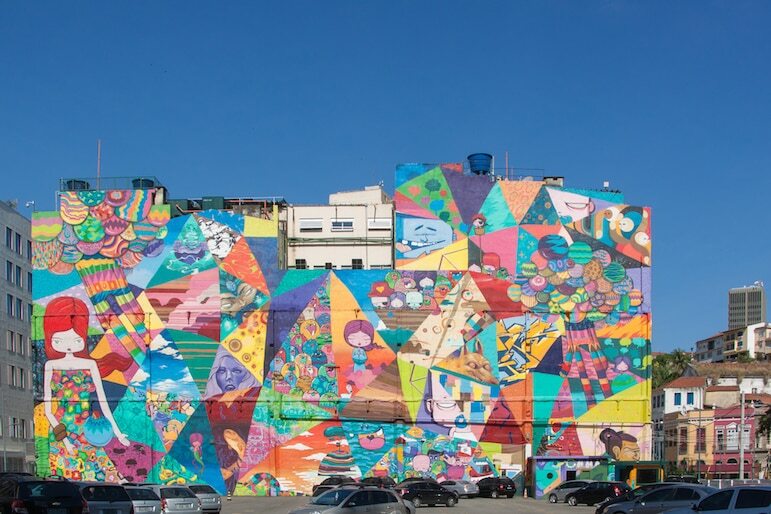 Of course, a visit to this South American nation would not be complete without seeing Christ the Redeemer and Sugar Loaf Mountain, but old town Rio is a riot of colour which shouldn’t be missed. Wander around Morro da Conceição to capture the moments many visitors miss, with brightly painted houses and window shutters. For more commanding views of the city, ascend the 382 steps to the 17th century Penha Church for panoramic views of the world below. Sitting high atop a hill, the grandeur of the church is a sight to behold in itself. Singapore certainly knows how to build a skyscraper or two, and fabulous spaces to observe them from. 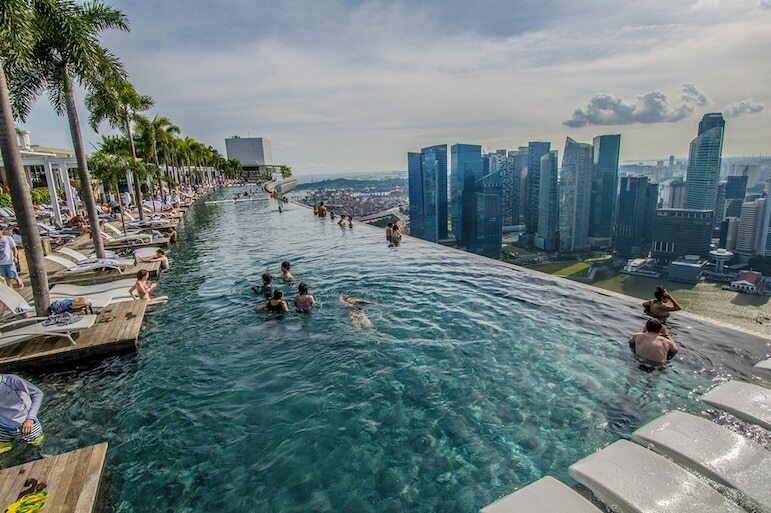 Check in at the Marina Bay Sands Hotel, and enjoy a dip in the hotel’s infinity pool, which just happens to overlook the urban skyline. What’s more, you also get a glimpse of the sea beyond, so the contrasting views are great for extraordinary pictures of the city. What are your favourite landmarks around the world and what inside tips do you have to seeing them at their best? Leave your recommendations below.